Oscar-nominated director Guillermo Del Toro has come under the scanner for his latest movie 'The Shape of Water', after the son of celebrated playwright Paul Zindel said that the movie's plotline is "obviously derived" from his 1969 play 'Let Me Hear You Whisper'. David Zindel, son of Pulitzer Prize-winning playwright Paul Zindel, has slammed Fox Searchlight and Del Toro for developing the movie without seeking rights to the idea, reports The Guardian. He said, "We are shocked that a major studio could make a film so obviously derived from my late father's work without anyone recognizing it and coming to us for the rights". "A lot of people are telling us they are struck by the substantial similarities. We are very grateful to Paul Zindel's fans for bringing this to our attention", added David. 'The Shape of Water' is a film set in the 1960s about a cleaner who falls in love with a sea creature held captive at the Baltimore laboratory where she works. In Zindel's play, the protagonist, Helen, is a nighttime cleaner at a biological testing facility and winds up bonding with one of the test subjects, a dolphin. Upon learning that the dolphin is set to be killed, Helen sets out on a mission to save it with the help of her co-worker and friend. 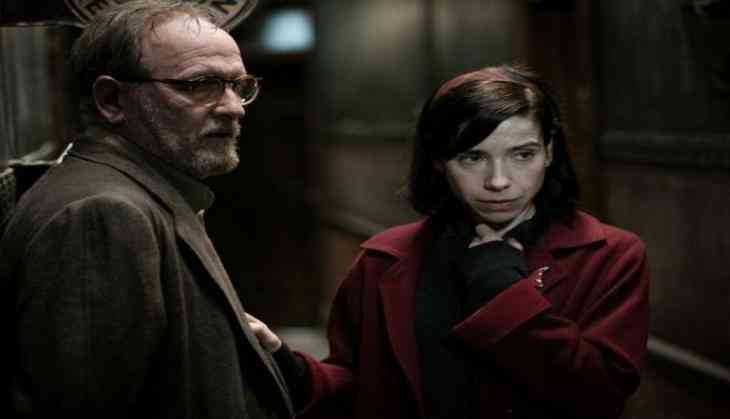 Sally Hawkins stars as the cleaning lady in Del Toro's flick. Both plots include a key character - a janitor who befriends the main character and helps rescue the animal. Meanwhile, Fox Searchlight issued a statement and said Del Toro has never read nor seen Zindel's play in any form. The statement read, "Mr Del Toro has had a 25-year career during which he has made 10 feature films and has always been very open about acknowledging his influences. If the Zindel family has questions about this original work we welcome a conversation with them". It should be noted that 'The Shape of Water' is nominated for 13 Academy Awards, including a Best Picture nod for Del Toro, Best Actress nod for Sally Hawkins and Best Supporting Actress for Octavia Spencer.